I had no idea about this incredible project! The Greenest City has a H.O.P.E. 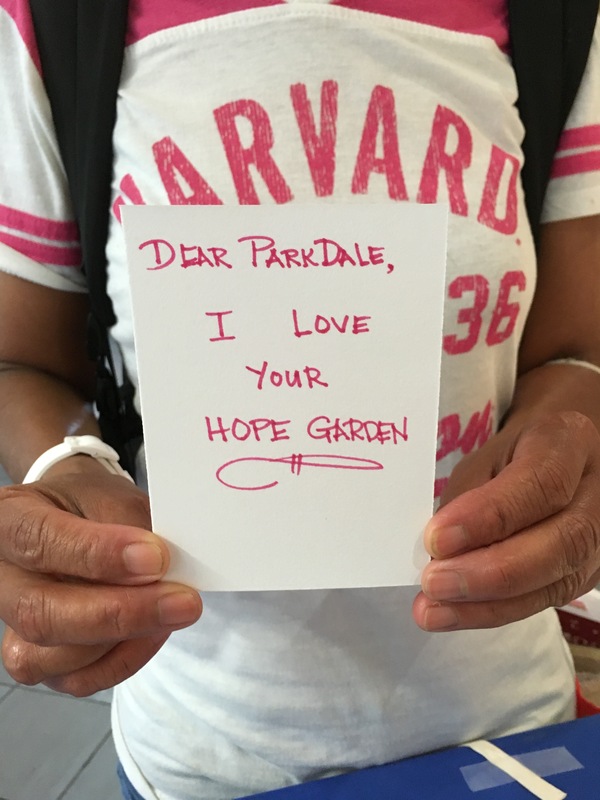 Garden (Healthy Organic Parkdale Edibles!) right beside the Parkdale Library! I have had THE best week. 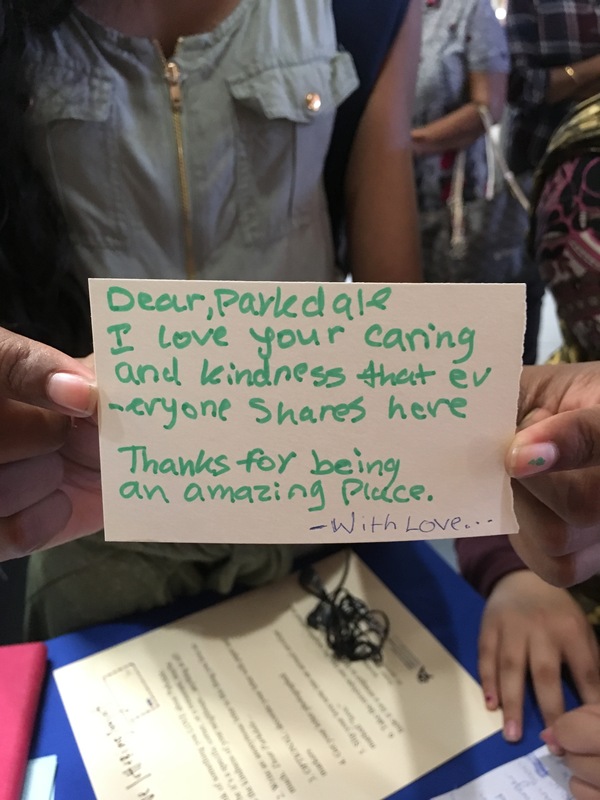 I spent two afternoons at Parkdale Library, asking folks to write love letters to the neighbourhood. There were so many incredible letters penned and taken out and hidden in the community for others to find. It was so very inspiring. 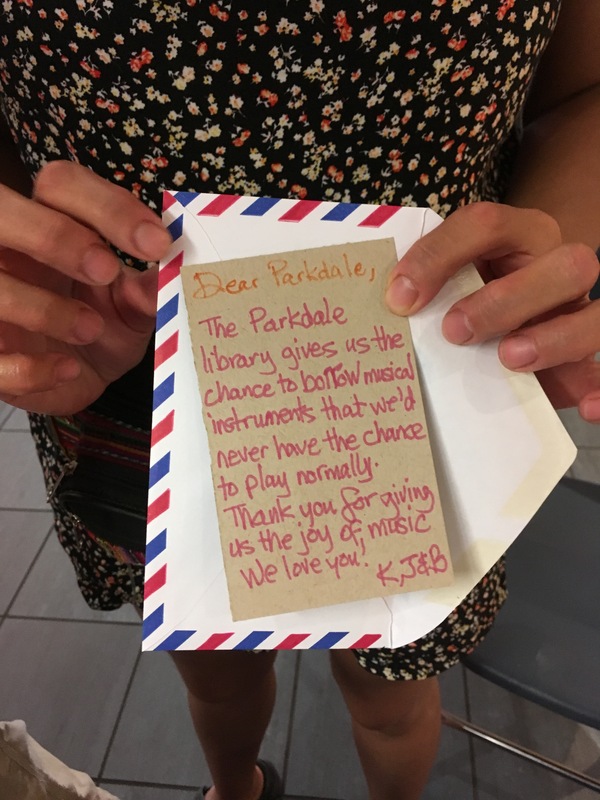 ps: we’re going to be writing a lot more about Parkdale in my (free!) 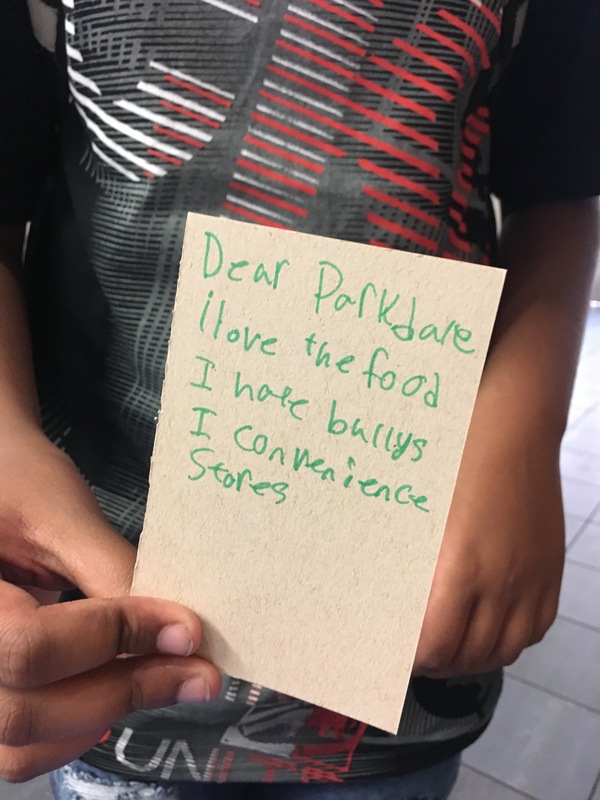 Writing The City workshop (one for teens, one for adults!) in October and November. More info and registration info. 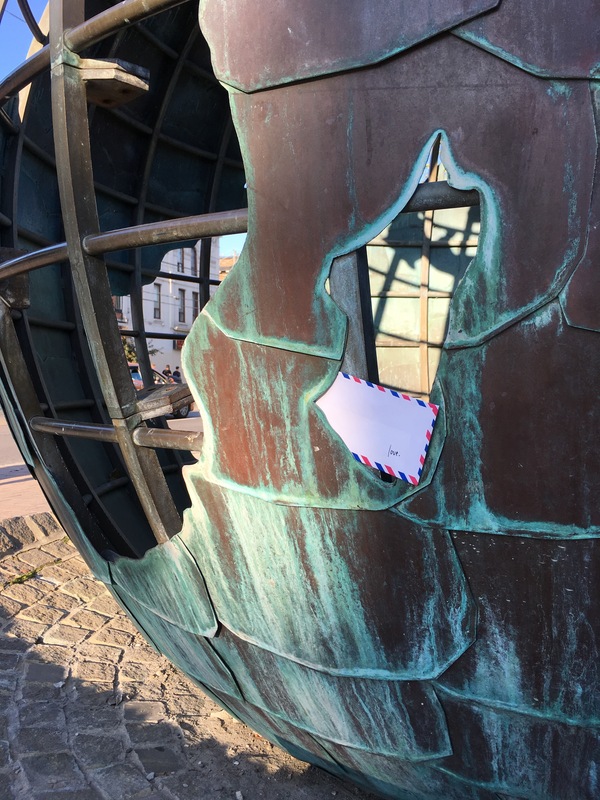 I LOVE this globe sculpture outside the library and was so thrilled to spot a love letter tucked in it!